Deerbusters.com offers heavy duty fence posts in various sizes to stabilize fence mesh. Deerbusters ' heavy duty fence posts are 1 5/8 inch in diameter to provide maximum support for the deer fence. Installing line posts is the second step in the fence installation process after driving ground sleeves into the soil. 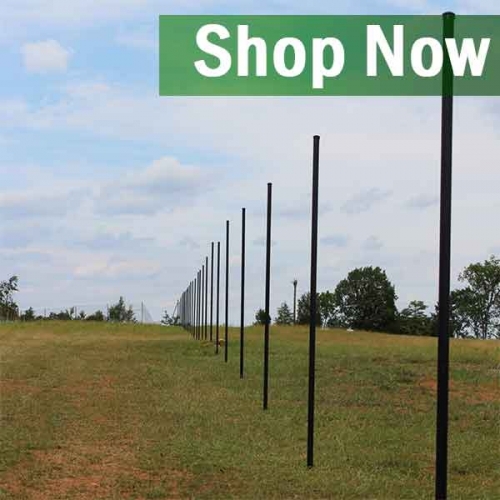 These line posts are made from galvanized steel and a black polyester powder-coating, which blends-in to match Deerbusters deer fencing. Deerbusters representatives suggest that fence installers place the line posts every 15 to 20 feet apart from each other for best results. (10 feet apart, if necessary). 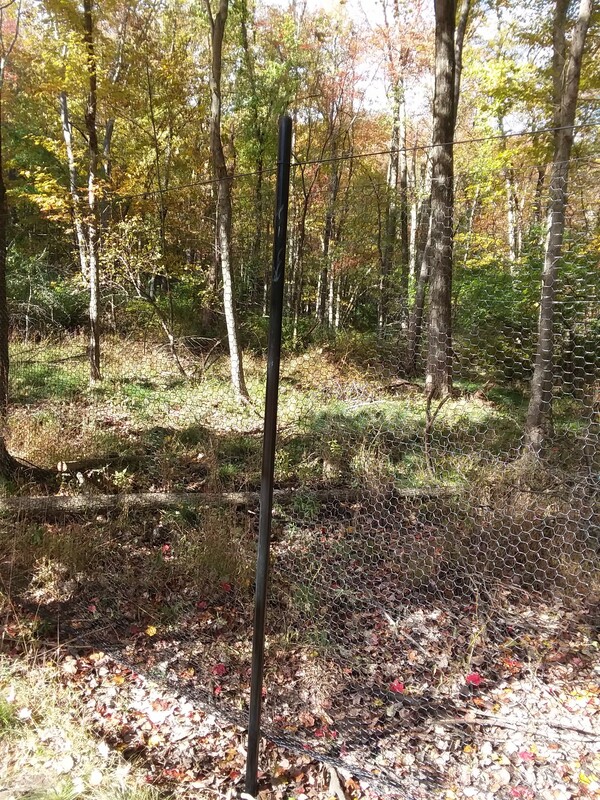 Deerbusters offers heavy duty line posts in 6", 7", 7.5" or 8" deer fence. Shop HD fence line posts today!